This was the first session of a new campaign. We began with two players and the rest will join next session. So far all characters are young members of the Peng clan. Peng Ke-Yen grew tired of life in Dashen and her father was weary from her antics, so with his blessing she decided to leave and venture into the world. She took her friend, Peng Pei with her and the two set out for the first time together. They didn't really have any sense of where to go, so decided to head for Gaoxing, the nearest large settlement. However to get there there would have to pass through Zhainan, a small abandoned village. They reached Zhainan and found a house to stay in for the night. Late in the evening, men wearing tiger skins appeared at the door and demanded their money. They claimed not to have any, but Peng Ke-Yen's colorful robes led them to believe she was wealthy. They insisted and threatened to kill her. She used Finger Flick to send a stone at the leader. The attack missed and they immediately drew their swords. Peng Pei lept into the air and kicked each of the bandits in turn, knocking all five of them to the ground and killing one of them. They searched the bandit's bodies and found some silver taels as well as a crudely drawn map of what appeared to be an ambush site with a date and some information about monks heading to Yun Hu. They also took their tiger skin shirts and put them on. They decided to go help the monks and left immediately for Gaoxing. On the way they were attacked by another group of men wearing tiger skins. The men asked where they got the shirts from and their answers did not satisfy them, so they attacked. There were ten men in all, but only eight came down to fight. Initially Peng Pei was able to drop four very quickly with her same leaping technique (Kick of the Swan), but then the remaining four circled her and stabbed her until she fell to the ground. They turned their attention on Peng Ke-Yen who unleashed a blast of Qi energy, knocking two down to the ground. The two remaining pressed her and missed, and she retaliated with another Qi blast, sending them crashing to the ground. Peng Pei bandaged herself but was seriously wounded so they hobbled to Gaoxing and went to Liao Cao's Medicine and Acupuncture where he healed using a combination of needles and Qi technique for 1 silver tael. They continued on to the ambush site and camped out down the road to stop the monks from falling into the trap. A group of Monks of the Sleeping Mercy approached and asked them why they blocked the road. They explained and the monk thanked them. He then prayed over them to help them "wash away the blood". The monks were not particularly imposing and asked the Pengs if they would protect them on the rest of their journey to deposit the money in Yun Hu for 2 taels. Ke-Ye and Pei agreed, and they set off on a course around the ambush site. When they reached Stone Forest Hill, they heard a woman singing form the woods "Those who killed our brothers, you will die. Monks who carry golden taels, you will die." Then a graceful woman with two butterfly swords flew out from the trees and landed between Pei and a monk (stabbing both). Pei whirled out of the way but the monk was dropped. There were a series of lengthy exchanges between the woman and the two Pengs. Each would counter the others attack and it became quite clear she was more skilled than the men they faced before. When Peng Ke-Yen managed to hit her with an arm strike she withdrew and announced that she came to deliver a message. Pointing to the southern Yellow Forest she said "Take this gold and these monks to the old Tiger Fort or he will kill you." When they asked who planned to kill them, she said "Five-Dagger Chang". Then the woman disappeared into the woods. They decided to take their chances and made their way to Yun Hu. There was at least one ambush set for them on the way but they saw it ahead of time and worked their way around it. The monks thanked them and gave them a Sleeping Mercy figure, saying that any Temple of the Sleeping Mercy would give them shelter if they presented it. Then they went to the Sword and Wine Inn and ordered a meal. Pei noticed a familiar face in the crowd, one of the men she had knocked out in Zhainan. Then they noticed the woman of the trees, enter and take a seat, only to look at them. She was dressed in finer clothing but it was clearly the same woman. A man approached and put his hands on the table. "My chief invites you to dinner" he said. The characters were wary of the offer but eventually agreed to go upstairs to a private dining area to speak with Five-Dagger Chang. There he fed them a meal and served them wine (which the woman drank to show there was no poison). They learned the woman's name was Xu An. He told them that because of them, his men missed the biggest score of their careers. He said he would forget that they had killed his men, forgive them for letting the monks get away, if they helped the Tiger Clan steal the gold from Yun Hu Bank. Otherwise they would need to settle accounts with swords. Pei and Ke-Yen discussed the matter. Pei was interested in the gold (which they learned amounted to roughly 5,000,000 spades worth of taels). But Ke-Yen wanted no part in the venture. They decided to take the duel instead of agreeing to help. 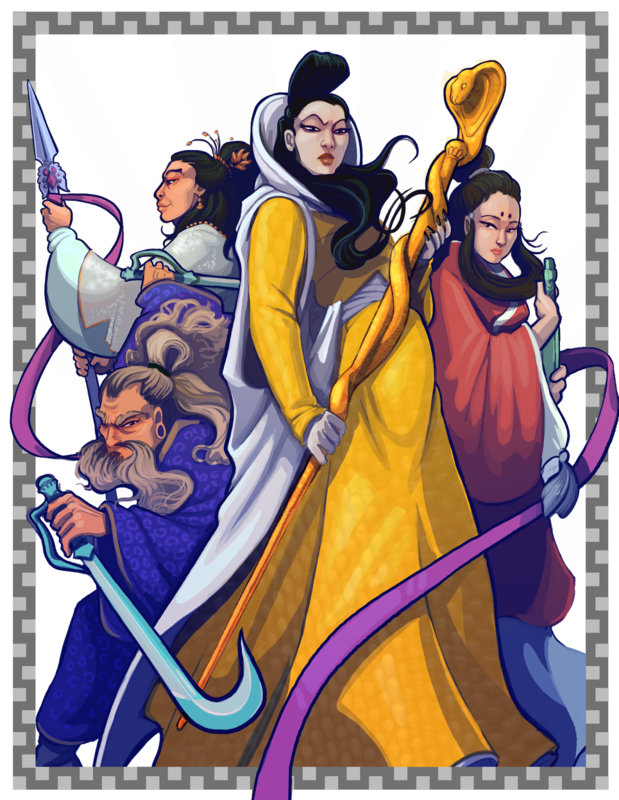 Ke-Yen tried to sow discord by suggesting Xu An was a better leader and the men of Tiger Clan should follow her instead. Five-Dagger Chang said he'd agree to follow her as well if Pei and Ke-Yen also kowtowed to her. They refused to do this and Ke-Yen departed after they agreed to meet in seven days in a nearby field to settle the grudge. Five-Dagger Chang said they were missing a great opportunity, and told them they could bring their own men, as he intended to bring his. Pei and Ke-Yen went to the temple of the Sleeping Mercy and asked if there were any martial heroes in the area with grudges against Tiger Clan. Abbot Yan told them that the only martial experts he knew of with grudges against them were other criminals, as they usually killed their victims. He suggested they seek Master Qian Bei of the Water Sword School. 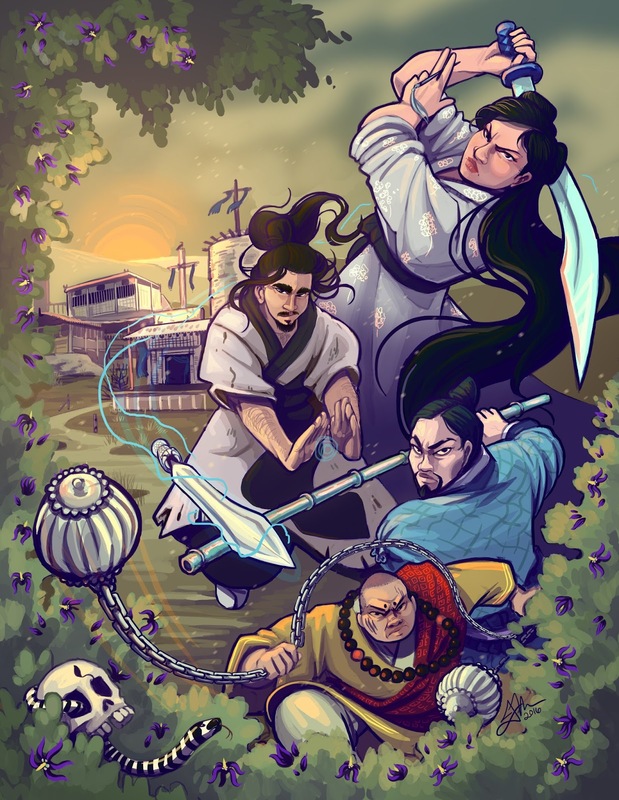 They followed his advice and went to the Water Sword school, where Master Qian Bei agreed to fight alongside them personally against such terrible villains as the Tiger Clan. He also promised to bring ten of his students. He asked for nothing in return, saying it was simply the righteous thing to do. Rain fell as the party walked the streets of Yuzhing with their newly acquired allies: Reckless Storm and Golden Roc. Both men had agreed to join them in an attack on Jade Temple to recover the Harmonious Blade. Reckless Storm demanded they stop at the Butterfly Pavilion restaurant for drinks. There he ordered wine and the party found a table. A man named Hidden Arrow approached and said there was someone outside wanting to speak with Reckless Storm. Reckless Storm left to meet with the person and in his absence, Hidden Arrow informed the party he was an agent of Bone Breaker sect. He was sent to help them and tricked Reckless Storm into leaving because he knew something the party did not: the man claiming to be Reckless Storm was not the real Reckless Storm. Bao Yang went outside and forced a confession from "Reckless Storm" who admitted his real name was Wei Anzhi. He told them he was an antique merchant from Li Fan, in hiding because he owed money to powerful people. Enraged at the deception Bao Yang threatened to kill him if he didn't make up for his lies. Bao Yang offered his skills at acting and disguise, as well as his knowledge of antiques (which might come in handy when they try to recover the Harmonious Blade). Bao Yang agreed, the party took on Hidden Arrow, and with him, they worked out a plan. The group would work with Weeping Lotus and his men (bandits they had formed an alliance with the previous session). Some of the party would dress as monks and go in through the southern gate, while the bandits attacked the northern gate (they estimated they had superior numbers to the temple). Shen Chun and Hidden Arrow entered the south entrance as monks when they reached the temple. They told the monks that they had an important message for the abbot and needed to speak with him. They went inside and examined the tempe grounds finding two significant structures: a pagoda that was guarded by an Abbess. Hidden Arrow spoke with the Abbess and convinced her to take him to the Abbot. Shen Chun stayed behind. Going into the temple, Hidden Arrow was given an audience with Abbot Lao, who had just finished a plate of meat and was drinking cups of wine. For a monk of Hen-Shi, his behavior seemed strange. Bao Yang and Weeping Lotus launched their attack, storming into the temple gates directly. It was a bloody clash. Weeping Lotus had 600 bandits with him, and they fought only 120 monks, but 200 of his men fell in the first wave of attacks. However they soon overpowered the monks and broke through. In the temple, Hidden Arrow warned the Abbot that an attack was imminent, that men were coming to kill him and he should escape to safety. The abbot was convinced by the story, especially when the sound of fighting could be heard. He walked to a wall and pulled secret lever, causing the wall to open wide and reveal descending stairs. He motioned for Hidden Arrow to join him and he escaped through an underground tunnel with several of his guards. The Abbess rushed to the temple grounds and stood in front of the Pagoda to confront the rushing horde of bandits. As the bandits broke through, Bao Yang stepped forward to fight the abbess one-on-one. They had a series of exchanges, blocking one another's attacks. But he managed to floor her with a variation on deep biting blade and she collapsed. Under threat of death she agreed to help them. Hidden Arrow snuck back and informed the party of the Abbot Lao's whereabouts. Bao Yang and Weeping Lotus rushed to find him and forced him to surrender. Weeping Lotus wanted to kill the abbot. His reasons were unclear but seemed to be based on revenge. Bao Yang convinced Weeping Lotus to accept the Abbot as a slave, to which the Abbot agreed in exchange for his life. In the ensuing exploration of the temple they also found a man who was essentially the abbess' husband: Smiling Abbot. They also found the sword. They convinced the temple to work with Bone Breaking Sect. The sect would take a percentage cut of their earnings from the black market artifacts, and in exchange the temple would be protected. Some details were left hanging, but a basic agreement was worked out. With that the party departed to find White Haired Crocodile and kill him (they agreed to do so in exchange for a weapon last session). On their way they decided to stop by Relentless Corpse Queen's sect and speak with her. They had met her previously at White Haired Crocodile's residence and thought she might help them defeat him. She dwelled in a cave near mountains and they gained an audience. Her sister, Da Mei Mei, was also present, as was her sister's husband, Gai. Shen Chun had taken an interest in Da Mei Mei and was disappointed to learn that she was married. 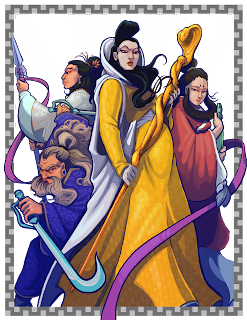 Relentless Corpse Queen agreed to work with them, provided they helped her track down the people who killed her father (her sect was originally called River Flowing Sword Sect, but some of its disciples betrayed and murdered the sect leader, her father). Bao Yang spoke with Gai, the husband of Da Mei Mei, after the meeting. He inquired about Gai's past. Gai claimed to be the son of a Hai'anese scholar named Wong Dai. This seemed odd to Bao Yang because he knew Wong Dai to be an Imperial Official. He brought the matter before Relentless Corpse Queen and suggested that Gai was a spy. She asked him to kill Gai for her. Bao Yang accused Gai and the two fought. During their duel, Hidden Arrow threw needles at Gai, poisoning him and causing him to die. Da Mei Mei screamed and rushed to her fallen husband's side. But Relentless Corpse Queen reprimanded her, saying he was clearly an agent sent by enemies of the sect. She had her men carry his body out and left with the party to kill White Haired Crocodile. I started running this campaign to playtest the material in our Li Fan book, and it kind of grew from there. I am not 100% sure what session we are up to at this point, so we will just call this session six for now. In their first outing the party went to Yao Gong Palace, home to Pure Phoenix Sect. They had recovered a manual that their Sifu, Bone Breaker, desired and also recruited some of the nuns from Pure Phoenix into their own sect. After their return from Yao Gong Palace (which took about 3-4 sessions), they were sent to participate in a tournament being hosted by White Haired Crocodile, chief of Crocodile Sect. He promised the winner, the Manual of the Jade Phoenix, an object people thought vanished long ago. They went to the tournament and managed to defeat the competition, taking the prize. On their way back they were hounded by other sects for the manual. This session, they had just returned and appeared before Bone Breaker and his wife, Fearless Cat. Two members of the party had a dispute during the competition and spoke their grievances to the sect leaders. They were both punished. Bao Yang asked if he could be given a special weapon as a reward and Bone Breaker agreed. He told him of a smith in Hu Qin named Bu Donglai. He gave Bao Yang a note for 1 Million spades and told him to bring it to the Yen-Li Bank in the capital then purchase what he needed from the smith. The party set out over the mountains. As they came through a vale, they were herded by bandits into an ambush. The leader, Weeping Lotus, demanded they give him the 1 million spade note. Bao Yang challenged him to a one-on-one fight (a tactic that has worked well for him in the past) and the man, who seemed pleased by the suggestion, agreed. They would fight for the note, and that would settle the matter. No other blood needed to be shed. 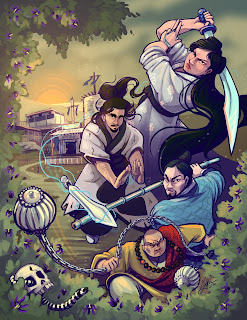 Weeping Lotus fought with a Guan Dao, and used Biting Blade, to spear Bao Yang. However Bao Yang had just masters a similar, but more powerful technique and used it to impale Weeping Lotus. He stopped short of killing him but threatened to behead their chief if the bandits didn't reveal who told them about the note. One of the bandits pointed at one of their nun disciples and said she had informed them. This was quickly determined to be a lie. Eventually they discovered that Fearless Cat was the source. They returned to Bone Kingdom to inform Bone Breaker about the news, bringing Weeping Lotus with them as a witness. He tried to bribe them with 4 million spades to free him, but the party refused. They ultimately promised to help secure his freedom if he gave them 4 Million spades, but only after he confessed to Bone Breaker. Bone Breaker listened when they returned and said no one was to take any action against his wife, but they should return Weeping Lotus, where he would continue to work with Fearless Cat but report everything back to him. They poisoned Weeping Lotus and made him reliant on an antidote to secure his loyalty. They departed once again and reached Yu Zhing (the capital of Hu Qin). Upon arrival they secured the four million spades and then went to speak with Bu Donglai. He said he would make the items they requested but would only do so in exchange for favors. First he wanted them to retrieve his Harmonious Blade. His disciple had been carrying it through the mountain pass and was killed by bandits. He wanted it back. Second they would kill White Haired Crocodile. They asked why and he told them that he had killed Donglai's niece. They asked Weeping Lotus if his men had killed Donglai's disciple. He said they had, but that the weapon was now with the Jade Temple. They often worked with the Jade Temple, selling them precious artifacts. However at the prospect of killing the head Abbot, Weeping Lotus said he had been waiting for such an opportunity for many years. He had several hundred men he could use to help them fend off the temple monks and nuns (of which there were 300). But the Abbot and his subordinates were very powerful, according to Weeping Lotus. They might need help. Bao Yang asked if there were any martial heroes in Yu Zhing. He said that Golden Roc had arrived shortly after the emperor died and taken up residence. Also he heard a rumor that Reckless Storm was at the Towering Chrysanthemum. Bao Yang went to speak with Reckless Storm and found it only took wine and talk of killing an Abbot to recruit him. Reckless Storm announced his intentions to kill Grand Abbot Lao, loudly in the restaurant and accompanied Bao Yang to find the rest of his party. The rest of the party when to Thundering Villa, where they heard Golden Roc was living. They found an old man playing Weiqi. They asked if he would help them take a sword back from Jade Temple. He it sounded like a dull invitation to bloodshed. He was not interested. They persisted, and eventually found a way to attract his interest. They would bet their bones. If they went to the temple and the situation proved dull and uninteresting to him, one of them would allow him to break their bones. If, on the other hand, he went and found the occasion amusing, he would refrain from breaking their bones and would lend a hand in their efforts to recover the sword. Here is my video review of the 1965 wuxia film, Temple of the Red Lotus, starring Jimmy Wang Yu, Ivy Ling Po and Chin Ping. I review Heroes Shed No Tears, a wuxia film by Chor Yuen. I liked this one so much, I immediately watched it a second time...then a third...and fourth...and so on. I review the movie, Duel For Gold, by Chor Yuen. Kevin Crawford of Sine Nominee Publishing was kind enough to talk with me recently about his new game Godbound. It is an innovative OSR ruleset for playing god-like characters. But it is much more than that suggests, as Crawford has put considerably thought into the mechanics and moral questions that arise from such a concept. He explains in the interview below. 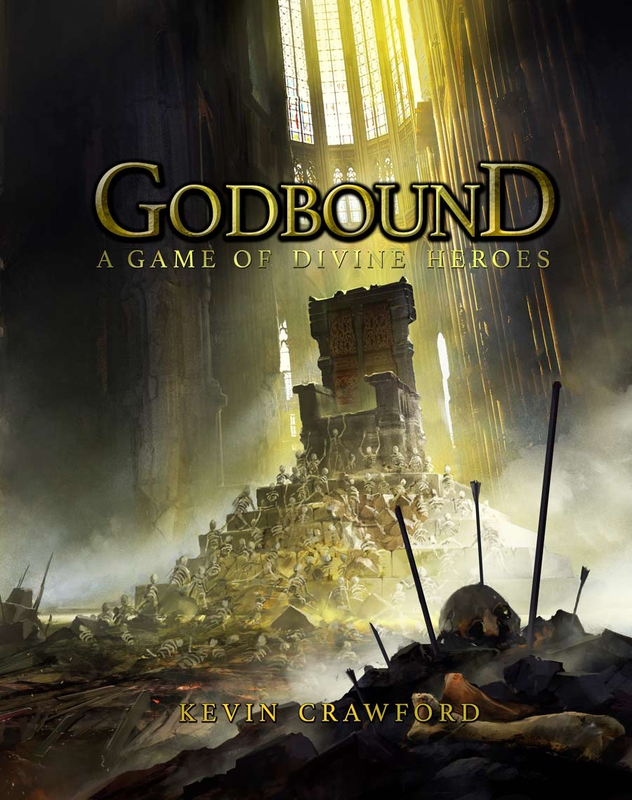 If you are interested in learning more about Godbound, check out the deluxe sales page at Drivethru RPG or the free version HERE. Brendan Davis: What is the basic premise of Godbound? Kevin Crawford: Heroes in a run-down fantasy world of decaying wonders and uncertain natural law are suddenly graced with divine power. 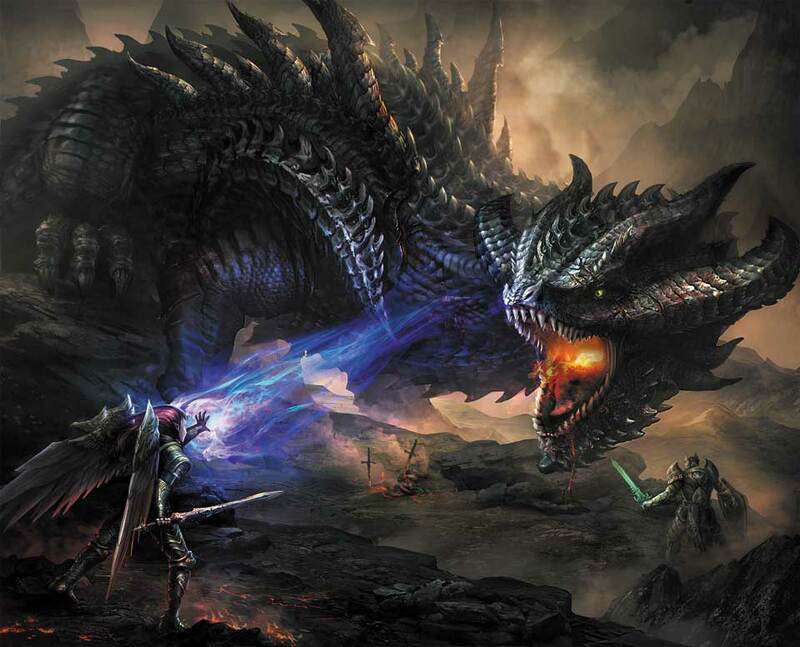 The player characters need to decide how to use that power, and how to deal with the parasite gods, monstrous tyrants, eldritch sorcerers, and other insidious perils that canker the world. BD: What were your main sources of inspiration for Godbound? KC: I wanted to ask questions about the root of ethical norms, and what kind of moral choices you could make if granted tremendous power and no obvious checks on your choices. In the absence of a revealed moral code, how do you make decisions? You have the power to shape whole realms to fit your conception of the good-how do you decide what the good is? To what extent are you willing to act on other people's wills, or change their fundamental natures? Is there even a universal ethical norm you can subscribe to, or if not, how do you deal with a universe that lacks any absolute reason for preferring happy kittens over infant torture? And if there _is_ a universal ethical norm, who decides what it is and where do they ground its authority? From a game-play standpoint, the obvious inspiration was Exalted. 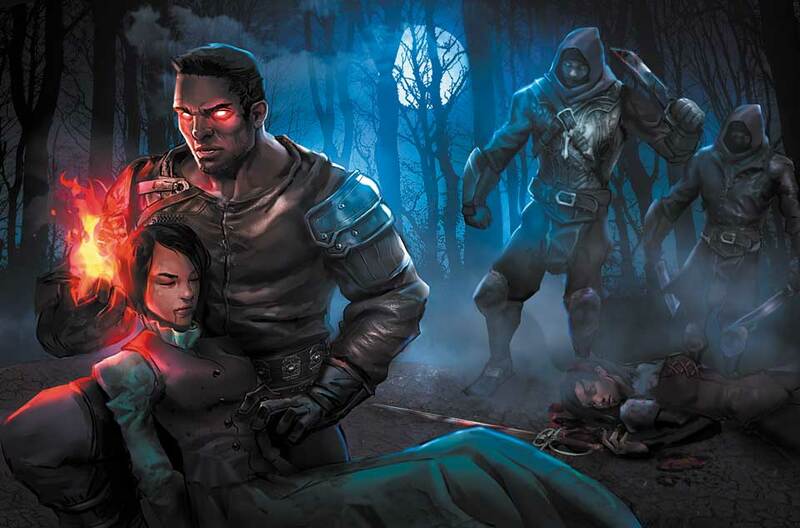 I've sunk hundreds of hours into playing Exalted 1e, and there's a lot to love about all the iterations of the game. The latest edition does a lot of great things and makes many people extremely happy. But among the many things it is, "low crunch" is not one of them. I wanted a much lighter game with a greater degree of PC power and more GM support. So I wrote it. BD: What kind of cultures can people expect to see in the setting? KC: On one hand, whichever cultures you put in, because Godbound does not presume a specific campaign setting. Still, the example realm of Arcem provided in the book was designed to give plenty of open space for different cultural styles, whether the steppe nomads of the Toban Plains, the T'ang Dynasty-inspired society of Dulimbai, the Roman Zulus of Patria, the Ethiopian-styled High Fantasy Zombie Apocalypse of Ancalia, or the cyberpunk-tinted near future tech of the Bright Republic. The autocossacks of the Iron Tsar in Nezdohva borrow elements from early modern Russia, and there are the pastiche-cultures of the Atheocracy of Lom, the Bleak Reach, and the Howler tribes as well. BD: How does a Godbound campaign differ from a more typical fantasy Campaign? KC: PCs begin at a power level far beyond that which most campaigns ever reach. Depending on the way they focus their abilities, they can chew through a military regiment in moments, turn ten miles of desert into crop-heavy farmland, cure every sickness in a city, reroute rivers, or utterly enslave people's wills. Ordinary men and women only have a chance to overcome them in huge mobs, and even that may not work against more martial Godbound. Only heroes, monsters, and other divine entities have a chance to stop them one-on-one, and so much of the combat conflict that appears in a campaign revolves around fighting these enemies and their swarms of lesser minions. More significantly, however, Godbound campaigns revolve around changing the world and creating the societies, nations, and physical realities that your PC wants to create. The mechanics for using Dominion, nurturing cults, and interacting with factions are all built to encourage PCs to leave their mark on the world and change the things that aren't as they think they should be. Much of the conflict and tension of the game comes from dealing with the consequences of these changes, or facing down those forces that have different ideas about how the world should be. BD: Can you describe the system for Godbound? KC: It's derived from my Scarlet Heroes one-on-one RPG; it's basically an old-school framework redone so that Godbound PCs are enormously more resilient, while keeping easy conversion compatibility with other old-school adventures and resources. You can lift existing material and use it in Godbound, either as easy sources of monsters and ruins or as ideas for what kind of minion-creatures or enchantments your Godbound heroes might want to create. The largest diversion is the Effort mechanic. Godbound have a few points of Effort- two to start with- and they commit this effort to fuel their divine powers. When they stop using a power, they get their Effort back, thus limiting the amount of divine mojo they can keep running at once. Triggering exceptionally potent powers might commit Effort for longer periods, leaving them to regain it at the end of the scene, or even at the end of the day. Godbound PCs bind "Words", the Words of Creation that touch on realities underlying concepts. You might have a Godbound of Death, Fire, and Passion, for example, while other has Sword, Endurance, and Command. You can learn special gifts from these Words to have easy and regular access to favorite powers, or you can commit Effort for the day to trigger miracles that mimic these gifts or similar effects. Thus, a Godbound always has access to all the powers of their chosen Words as long as they have Effort left, but they can choose to master specific gifts to have easier and cheaper use of them. BD: What were some of the major challenges you faced while developing the system for Godbound? KC: Supporting the idea of Godbound PCs as actual world-shaping divinities rather than just high-level adventurers or fantasy-flavored superheroes. It's not mechanically hard to make a superhero- you make a world, assign numbers to things, and then give the superhero bigger numbers than most things. Whatever system you use, just make the superhero more of it. Give them extra oomph and a big slew of special powers, and you're set. If you want them to be able to actually affect the world, however, things get hairier. Traditionally, superheroes don't fundamentally change the world around them. If they do, it's in the course of a story that plays up the aversion of that trope. 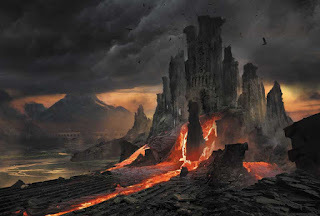 PC divinities, on the other hand, need to be able to leave their mark on a world, whether that consists of a species of divinely-created warrior-minions, a magic citadel, a blessed nation, an ensorceled shrine, or an entire paradise-world. It's not enough to just give them powers that supposedly do these things. The more handwaving the GM has to do, the more reluctant everyone is to try to do these things. Most GMs feel much more comfortable when they have a clear framework in which to adjudicate major creations, and so I had to develop the Dominion and Faction systems to make things comfortable. BD: The art from the previews so far is genuinely stunning. Your books already have a reputation for quality but this seems like a whole other level. What motivated you to do full color and who are your artists? KC: A mix of ambition, curiosity about how a full-color game would be to develop, and cold-blooded mercantile interest in whether or not an expensive art buy would pay back in sales. I did Starvation Cheap as a shorter full-color piece first to warm up and build a stable of artists, and Godbound was my first effort at a full-color, full-sized game. My very capable artists are the redoubtable Jeff Brown on the cover and some interior pieces, Christof Grobelski, Aaron Lee, Joyce Maureira, and Tan Ho Sim on interior art, Maxime Plasse for cartography, and Craig Judd on designing the character sheet. The reliable David Lewis Johnson and Miguel Santos did the b/w line work for Sixteen Sorrows. I can readily recommend any of them to other publishers looking for artists. BD: Each of your products and the concepts behind them seem very strong; do you have a governing design philosophy? KC: Write things that GMs can use. Now, I love players as much as the next publisher. There are a lot of them, and they'll try all kinds of goofy things for you if you ask them to. But ultimately, you need the GM for most traditional RPGs, and if you don't have a GM, you don't have a game. Therefore, if you want people to play your game, you need to make it as friendly and helpful as possible to the GM. If you have a GM who's a fan, you'll get players who are fans. It doesn't always work the other way around. Therefore, I always try to think about what exactly a GM is going to do with whatever I've just put on the page. How are they going to read it, understand it, and use it in play? When I write a set of rules, can I imagine some harried GM actually following the steps I outline, or have I made a lovely mechanical confection that can't survive the rough and tumble of an actual game table? I try to stay away from nebulous advice chapters and general guidelines and instead put in specific step-by-step procedures for creating things. In my experience, if you can't distill a piece of creation advice into at an example workflow, you might not be saying anything useful. Talk is cheap. Generation tables that actually produce X are a different matter. BD: What advice do you have for aspiring game designers or those looking to break into the industry? KC: Be prolific, be good, and be distinguishable. No matter how good you are, if you don't make a lot of products, you will not make significant money. Sure, you might write a shock hit, but you might get hit by a meteor, too; for 99.9% of us ink-stained wretches, your income is directly correlated with how many products you have to sell. Moreover, because we work with PDFs and POD print, we can keep our back catalog "in print" indefinitely. Every new fan is a chance for them to go back and buy your back catalog, so you need to give them as much as possible to enjoy. And they need to enjoy it. Shoveling 47 one-page list products out every Tuesday won't get you anywhere. You need to be good at what you're doing, writing good stuff. It has to be polished, clean, and suggest that the publisher actually knows what they are doing. It doesn't have to have Zak Smith avant-garde sensibilities or James Raggi art budgets, but it needs to be _solid_. Good writing, decent layout, respectable art. Lastly, it must be distinguishable from the mass of free and cheap RPG content being churned out. It doesn't matter how great an orc cave you've just made, people looking for orc caves have 4,811 different options in that genre, and yours has to be ridiculously good and ridiculously lucky to catch their attention. Something about the stuff you write has to be unique, or at least uncommon, and you have to provide it consistently. For Sine Nomine, that shtick is GM support and sandboxing. Everything I do is sandbox-flavored and built for GM comfort. People looking for those things know to buy Sine Nomine stuff, the same way people looking for daring art and a grindhouse metal sensibility know to buy James Raggi stuff. Whatever you do, people have to know that to get your kind of stuff, they need to go to you. BD: I’ve seen you mention you are working on a Ming Dynasty historical setting. I think a lot of people would be interested in that. Can you give us a sense of what to expect when it is ready? KC: I wouldn't expect to see it for another 3-4 years at a minimum, probably after my Tudor England 1555 game gets settled, and likely using the same Stars Without Number-inspired mechanical framework. With both games, the goal is to give you a combination sourcebook and alt-history game, where the outline of society and history is fundamentally the same as in the real world, but the existence of magic and the supernatural is woven into the cracks and gaps. The intent is that if you want to play in London 1555, you can pick up the Tudor game and run a straight historical game and it'll work. You'll have all the information you need and the GM tools you need to actually make Marian England adventures and conflicts, and not just Generic Low Fantasy in Ruffed Collars. With the Ming game, the idea is that you pick up the game and it does the same thing for Ming China 1555. Needless to say, one of the two is _substantially harder_ to execute than the other. It's going to take me at least three or four years to work through the research material I have and learn what I need to learn in order to digest things properly for a casual GM's use.